Chesterfield Minibus Hire offers the best transportation for birthday party locations in Chesterfield. We have minibuses that are very luxurious and give you the class you desire as you arrive for your birthday party. We take our clients to all areas in Chesterfield that have locations for birthday parties. Our birthday minibus hire packages are quite affordable, and we guarantee you of top-notch quality of services. Our team of drivers at Chesterfield minibus hire are highly qualified and skilled and know their way around Chesterfield. You and your friend will have enough time to enjoy travelling and having fun as our chauffeurs take you to your destination. Even after you are done partying, our drivers will be available to comfortably take you to your preferred destination where you can rest and refresh. All our services are designed to meet all your specific needs. Some of the birthday locations we mostly take our clients include The Arkwright Centre, Speedwell Rooms, the Manor at Brampton and Hotel Van Dyk. 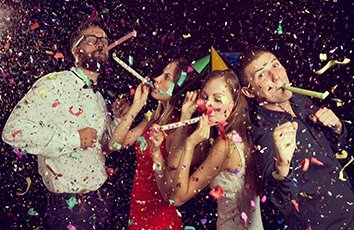 Chesterfield Minibus Hire will pick you up on time and get you to your party destination just before the party begins so you don’t miss out on anything. Book with us today and create memories that you and your friends will always cherish!